Death Valley National Park is a national park in the United States. Straddling the border of California and Nevada, located east of the Sierra Nevada, it occupies an interface zone between the arid Great Basin and Mojave deserts in the United States. The park protects the northwest corner of the Mojave Desert and contains a diverse desert environment of salt-flats, sand dunes, badlands, valleys, canyons, and mountains. It is the largest national park in the lower 48 states and has been declared an International Biosphere Reserve. Approximately 91% of the park is a designated wilderness area. It is the hottest, driest and lowest of the national parks in the United States. The second-lowest point in the Western Hemisphere is in Badwater Basin, which is 282 feet (86 m) below sea level. The park is home to many species of plants and animals that have adapted to this harsh desert environment. Some examples include creosote bush, bighorn sheep, coyote, and the Death Valley pupfish, a survivor of much wetter times. In 2013, Death Valley National Park was designated as a dark sky park by the International Dark-Sky Association. 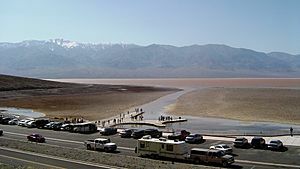 At 282 feet (86 m) below sea level at its lowest point, Badwater Basin on Death Valley's floor is the second-lowest depression in the Western Hemisphere (behind Laguna del Carbón in Argentina), while Mount Whitney, only 85 miles (137 km) to the west, rises to 14,505 feet (4,421 m). 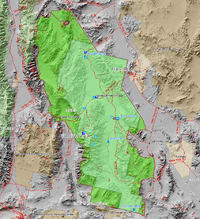 This topographic relief is the greatest elevation gradient in the contiguous United States and is the terminus point of the Great Basin's southwestern drainage. 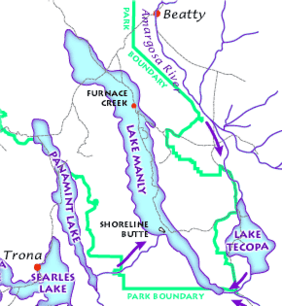 Although the extreme lack of water in the Great Basin makes this distinction of little current practical use, it does mean that in wetter times the lake that once filled Death Valley (Lake Manly) was the last stop for water flowing in the region, meaning the water there was saturated in dissolved materials. Thus the salt pans in Death Valley are among the largest in the world and are rich in minerals, such as borax and various salts and hydrates. The largest salt pan in the park extends 40 miles (64 km) from the Ashford Mill Site to the Salt Creek Hills, covering some 200 square miles (520 km2) of the valley floor. 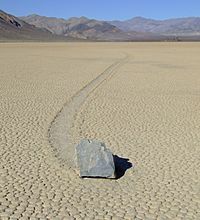 The best known playa in the park is the Racetrack, known for its moving rocks. 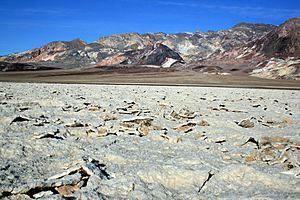 Death Valley is the hottest and driest place in North America due to its lack of surface water and low relief. It is so frequently the hottest spot in the United States that many tabulations of the highest daily temperatures in the country omit Death Valley as a matter of course. On the afternoon of July 10, 1913, the United States Weather Bureau recorded a high temperature of 134 °F (56.7 °C) at Greenland Ranch (now Furnace Creek) in Death Valley. This temperature stands as the highest ambient air temperature ever recorded at the surface of the Earth. (A report of a temperature of 58 °C (136.4 °F) recorded in Libya in 1922 was later determined to be inaccurate.) Daily summer temperatures of 120 °F (49 °C) or greater are common, as well as below freezing nightly temperatures in the winter. July is the hottest month, with an average high of 115 °F (46 °C) and an average low of 88 °F (31 °C). December is the coldest month, with an average high of 65 °F (18 °C) and an average low of 39 °F (4 °C). The record low is 15 °F (−9.4 °C). The hot, dry climate makes it difficult for soil to form. Mass wasting, the down-slope movement of loose rock, is therefore the dominant erosive force in mountainous area, resulting in "skeletonized" ranges (mountains with very little soil on them). Sand dunes in the park, while famous, are not nearly as widespread as their fame or the dryness of the area may suggest. The Mesquite Flat dune field is the most easily accessible from the paved road just east of Stovepipe Wells in the north-central part of the valley and is primarily made of quartz sand. Another dune field is just 10 miles (16 km) to the north but is instead mostly composed of travertine sand. The highest dunes in the park, and some of the highest in North America, are located in the Eureka Valley about 50 miles (80 km) to the north of Stovepipe Wells, while the Panamint Valley dunes and the Saline Valley dunes are located west and northwest of the town, respectively. The Ibex dune field is near the seldom-visited Ibex Hill in the southernmost part of the park, just south of the Saratoga Springs marshland. All of the latter four dune fields are accessible only via unpaved roads. Prevailing winds in the winter come from the north, and prevailing winds in the summer come from the south. Thus the overall position of the dune fields remains more or less fixed. There are rare exceptions to the dry nature of the area. In 2005, an unusually wet winter created a 'lake' in the Badwater Basin and led to the greatest wildflower season in the park's history. In October 2015, a "1000 year flood event" with over three inches of rain caused major damage in Death Valley National Park. Four Native American cultures are known to have lived in the area during the last 10,000 years. The first known group, the Nevares Spring People, were hunters and gatherers who arrived in the area perhaps 9,000 years ago (7000 BC) when there were still small lakes in Death Valley and neighboring Panamint Valley. A much milder climate persisted at that time, and large game animals were still plentiful. By 5,000 years ago (3000 BC) the Mesquite Flat People displaced the Nevares Spring People. Around 2,000 years ago the Saratoga Spring People moved into the area, which by then was probably already a hot, dry desert. This culture was more advanced at hunting and gathering and was skillful at handcrafts. They also left mysterious stone patterns in the valley. After abandoning their wagons, they eventually were able to hike out of the valley. Just after leaving the valley, one of the women in the group turned and said, "Goodbye Death Valley," giving the valley they endured its name. Included in the party was William Lewis Manly whose autobiographical book Death Valley in '49 detailed this trek and popularized the area (geologists later named the prehistoric lake that once filled the valley after him). The ores that are most famously associated with the area were also the easiest to collect and the most profitable: evaporite deposits such as salts, borate, and talc. Borax was found by Rosie and Aaron Winters near Furnace Creek Ranch (then called Greenland) in 1881. Later that same year, the Eagle Borax Works became Death Valley's first commercial borax operation. William Tell Coleman built the Harmony Borax Works plant and began to process ore in late 1883 or early 1884, continuing until 1888. This mining and smelting company produced borax to make soap and for industrial uses. The end product was shipped out of the valley 165 miles (266 km) to the Mojave railhead in 10-ton-capacity wagons pulled by "twenty-mule teams" that were actually teams of 18 mules and two horses each. The teams averaged two miles (3 km) an hour and required about 30 days to complete a round trip. The trade name 20-Mule Team Borax was established by Francis Marion Smith's Pacific Coast Borax Company after Smith acquired Coleman's borax holdings in 1890. A memorable advertising campaign used the wagon's image to promote the Boraxo brand of granular hand soap and the Death Valley Days radio and television programs. 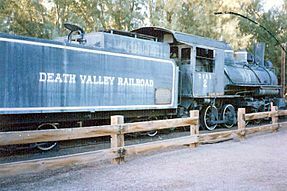 In 1914, the Death Valley Railroad was built to serve mining operations on the east side of the valley. 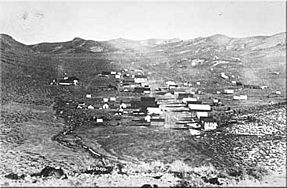 Mining continued after the collapse of Coleman's empire, and by the late 1920s the area was the world's number one source of borax. Some four to six million years old, the Furnace Creek Formation is the primary source of borate minerals gathered from Death Valley's playas. President Herbert Hoover proclaimed a national monument in and around Death Valley on February 11, 1933, setting aside almost two million acres (8,000 km2) of southeastern California and small parts of southwesternmost Nevada. Twelve companies worked in Death Valley using Civilian Conservation Corps workers during the Great Depression and on into the early 1940s. They built barracks, graded 500 miles (800 km) of roads, installed water and telephone lines, and erected a total of 76 buildings. Trails in the Panamint Range were built to points of scenic interest, and an adobe village, laundry and trading post were constructed for Shoshone Native Americans. Five campgrounds, restrooms, an airplane landing field and picnic facilities were also built. 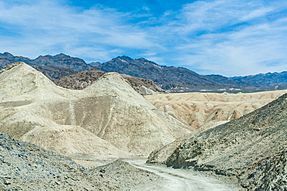 In 1976, Congress passed the Mining in the Parks Act, which closed Death Valley National Monument to the filing of new mining claims, banned open-pit mining and required the National Park Service to examine the validity of tens of thousands of pre-1976 mining claims. Mining was allowed to resume on a limited basis in 1980 with stricter environmental standards. The park's Resources Management Division monitors mining within park boundaries and continues to review the status of 19 patented mining claim groups and less than 10 unpatented mining claims, while ensuring that federal guidelines are followed and the park's resources are protected. In 2005, the Billie Mine, an underground borax mine located along the road to Dante's View, closed, ending mining in the park. Death Valley National Monument was designated a biosphere reserve in 1984. On October 31, 1994, the monument was expanded by 1.3 million acres (5,300 km2) and re-designated as a national park, via congressional passage of the California Desert Protection Act (Public Law 103-433). Consequently, the elevated status for Death Valley made it the largest national park in the contiguous United States. Many of the larger cities and towns within the boundary of the regional ground water flow system that the park and its plants and animals rely upon are experiencing some of the fastest growth rates of any place in the United States. 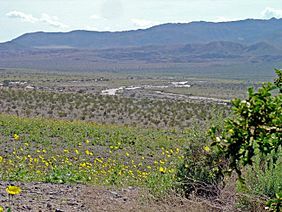 Notable examples within a 100-mile (160 km) radius of Death Valley National Park include Las Vegas and Pahrump, Nevada. In the case of Las Vegas, the local Chamber of Commerce estimates that 6,000 people are moving to the city every month. Between 1985 and 1995, the population of the Las Vegas Valley increased from 550,700 to 1,138,800. In 1977, parts of Death Valley were used by director George Lucas as a filming location for Star Wars, providing the setting for the fictional planet Tatooine. Cenozoic Alluvial fans, stream, and playa deposits, dunes, numerous sedimentary, volcanic, and plutonic units in separate and interconnected basins and igneous fields (includes Artist Drive, Furnace Creek, Funeral, and Nova Formations). Major unconformity, continued deposition in modern Death Valley, opening of modern Death Valley, continuing development of present ranges and basins, onset of major extension. Paleozoic Resting spring Shale, Tin Mountain Limestone, Lost Burro, Hidden Valley Dolomite, Eureka Quartzite, Nopah, Bonanza King, Carrara, Zabriskie Quartzite, Wood Canyon. Development of a long-continuing carbonate bank on a passive continental margin; numerous intervals of emergence, interrupted by deposition of a blanket of sandstone in Middle Ordovician time. Deposition of a wedge of silliciclastic sediment during and immediately following the rifting along a new continental margin. Little is known about the history of the oldest exposed rocks in the area due to extensive metamorphism (alteration of rock by heat and pressure). Radiometric dating gives an age of 1,700 million years for the metamorphism during the Proterozoic. About 1,400 million years ago a mass of granite now in the Panamint Range intruded this complex. Uplift later exposed these rocks to nearly 500 million years of erosion. The Proterozoic sedimentary formations of the Pahrump Group were deposited on these basement rocks. This occurred following uplift and erosion of any earlier sediments from the Proterozoic basement rocks. 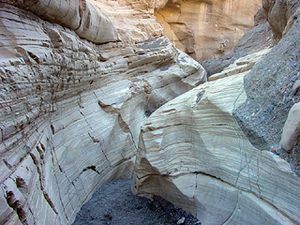 The Pahrump is composed of arkose conglomerate (quartz clasts in a concrete-like matrix) and mudstone in its lower part, followed by dolomite from carbonate banks topped by algal mats as stromatolites, and finished with basin-filling sediment derived from the above, including possible glacial till from the hypothesized Snowball Earth glaciation. The very youngest rocks in the Pahrump Group are basaltic lava flows. The Noonday Dolomite was formed as a carbonate shelf after the break-up of Rodinia. A true ocean basin developed to the west, breaking all the earlier formations along a steep front. A wedge of clastic sediment then began to accumulate at the base of the two underwater precipices, starting the formation of opposing continental shelfs. Three formations developed from sediment that accumulated on the wedge. The region's first known fossils of complex life are found in the resulting formations. Notable among these are the Ediacara fauna and trilobites, the evolution of the latter being part of the Cambrian Explosion of life. 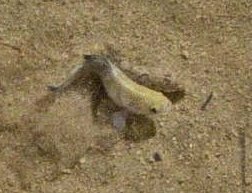 The ancestors of the Death Valley Pupfish swam to the area from the Colorado River via a long-since dried-up system of rivers and lakes (see Lake Manly). They now live in two separate populations: one in Salt Creek and another in Cottonball Marsh. Death Valley is one of the hottest and driest places in North America, yet it is home to over 1,000 species of plants; 23 of which, including the very rare Rock Lady (Holmgrenanthe petrophila), are not found anywhere else. Adaptation to the dry environment is key. For example, creosote bush and mesquite have tap-root systems that can extend 50 feet (15 m) down in order to take advantage of a year-round supply of ground water. 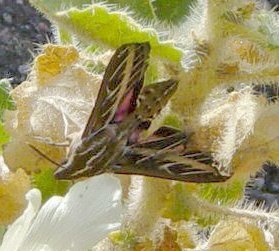 The diversity of Death Valley's plant communities results partly from the region's location in a transition zone between the Mojave Desert, the Great Basin Desert and the Sonoran Desert. This location, combined with the great relief found within the Park, supports vegetation typical of three biotic life zones: the lower Sonoran, the Canadian, and the Arctic/Alpine in portions of the Panamint Range. Based on the Munz and Keck (1968) classifications, seven plant communities can be categorized within these life zones, each characterized by dominant vegetation and representative of three vegetation types: scrub, desert woodland, and coniferous forest. Microhabitats further subdivide some communities into zones, especially on the valley floor. Sightseeing is available by personal automobile, four-wheel drive, bicycle, mountain bike (on established roadways only), and hiking. Riding through the park on motorcycle is also a popular pastime. State Route 190, the Badwater Road, the Scotty's Castle Road, and paved roads to Dante's View and Wildrose provide access to the major scenic viewpoints and historic points of interest. More than 350 miles (560 km) of unpaved and four-wheel-drive roads provide access to wilderness hiking, camping, and historical sites. All vehicles must be licensed and street legal. There are hiking trails of varying lengths and difficulties, but most backcountry areas are accessible only by cross-country hiking. There are thousands of hiking possibilities. The normal season for visiting the park is from October 15 to May 15, avoiding summer extremes in temperature. Costumed living history tours of the historic Death Valley Scotty's Castle are conducted for a fee, but as of October 2015, are suspended due to flood damage to the buildings and grounds. There are nine designated campgrounds within the park, and overnight backcountry camping permits are available at the Visitor Center. Xanterra Parks & Resorts owns and operates a private resort, the Furnace Creek Inn and Ranch Resort, which comprises two separate and distinct hotels: the Furnace Creek Inn is a four-star historic hotel, and the Furnace Creek Ranch is a three-star ranch-style property reminiscent of the mining and prospecting days. Death Valley Lodging Company operates the Stovepipe Wells Village motel. Stovepipe Wells Village is the only authorized concession operations located in Death Valley National Park. There are a few motels near entrances to the park, in Shoshone, Death Valley Junction, Beatty, Nevada, and Panamint Springs. Death Valley National Park is a popular location for stargazing as it has one of the darkest night skies in the United States. Despite its remote location, air quality and night visibility are threatened by civilization. In particular, light pollution is introduced by nearby Las Vegas. The darkest skies are, in general, located in the northwest of the park. Death Valley National Park Facts for Kids. Kiddle Encyclopedia.